- Adams “Ollie" Distressed Visor Cap. 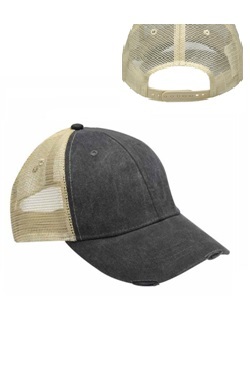 - 100% cotton front panel and distressed torn visor. - 100% nylon mesh back panels. - Cotton twill sweatband with matching color plastic snap back closure. - Pigment dye front panels. - 6 panel, mid-crown structured cap. 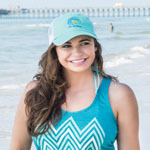 Adams “Ollie" Distressed Visor Cap. 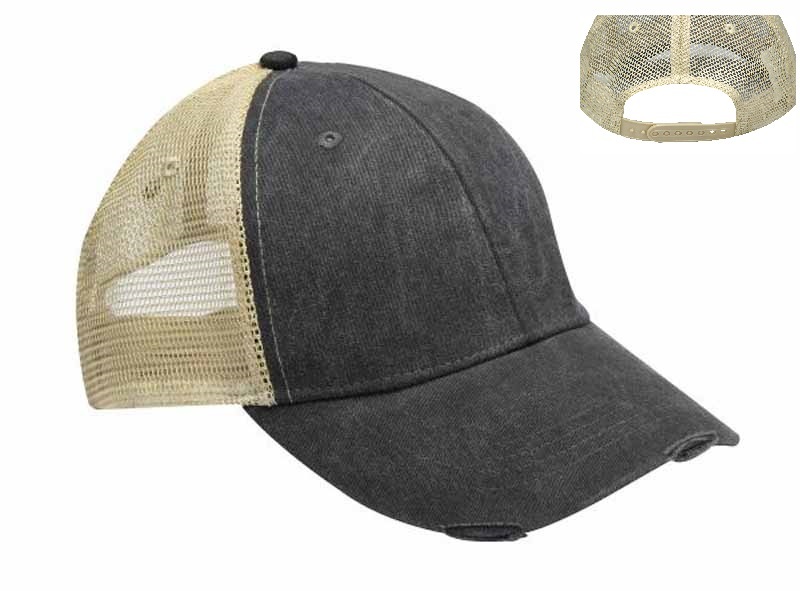 100% cotton front panel and distressed torn visor. 100% nylon mesh back panels. Cotton twill sweatband with matching color plastic snap back closure. Pigment dye front panels. 6 panel, mid-crown structured cap. One Size Fits Most. Colors: Black/Mustard*, Black/Tan, Burgundy/Tan*, Cactus/Black/Tan*, Coral/Tan, Dark Denim/Tan*, Denim/Tan, Forest Green/Tan, Hardwoodcamo/Tan*, Junglecamo/Tan*, Khaki/Tan, Midnight/Tan*, Navy/Burgundy/Tan*, Navy/Tangerine/Tan*, Mississippi Mud/Tan, Nautical Red/Tan, Neon Pink/Tan*, Navy/Tan, Royal Blue/Tan, Seafoam/Tan*, Teal/Tan, Waxed Cotton/Tan*. *Colors ship from Pageland, SC.